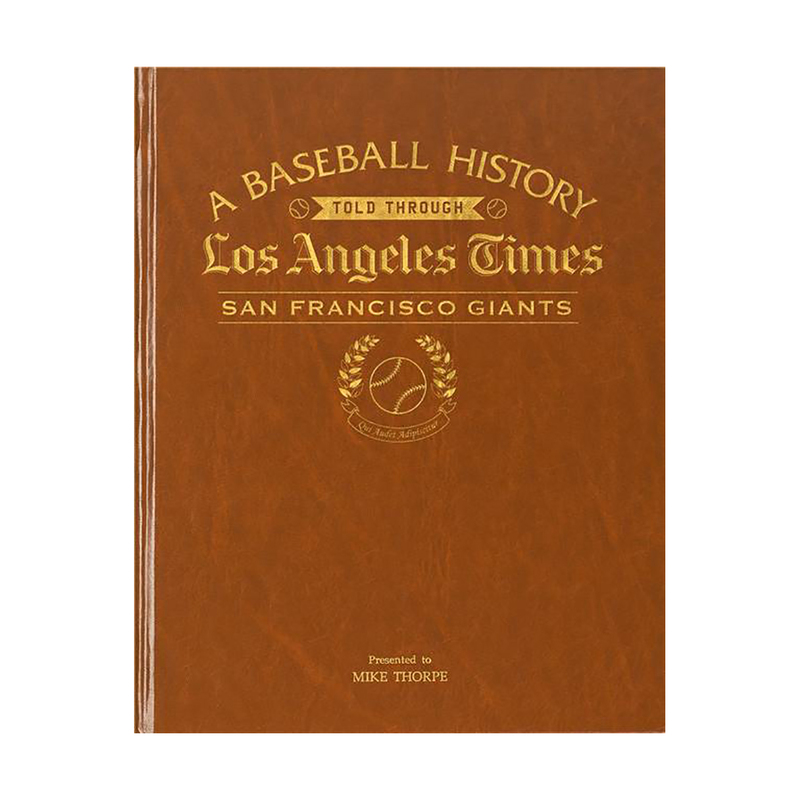 Bring the history of the San Francisco Giants home with this historic collection of Giants coverage from the Los Angeles Times. This beautifully bound leatherette book is an amazing gift for any Giant fan, , and comes with a free personalized inscription & cover embossing. 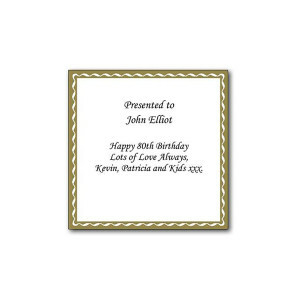 Be sure to enter the name of the person receiving this item in the ""Presented To"" box. Bring the history of the San Francisco Giants home with this historic collection of Giants coverage from the Los Angeles Times. 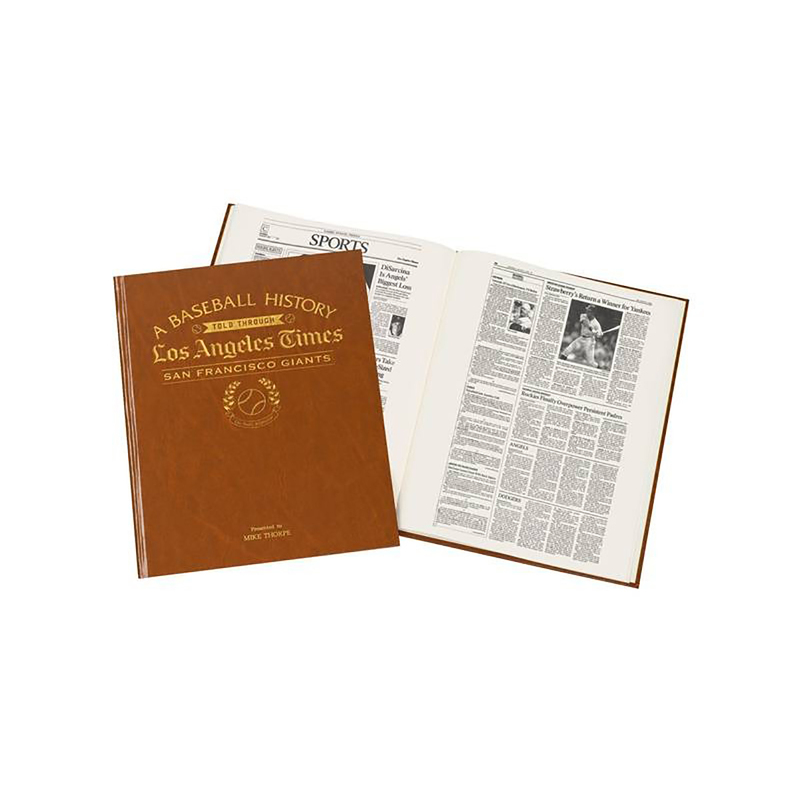 This beautifully bound leatherette book is an amazing gift for any Giant fan, and comes with a free personalized inscription. 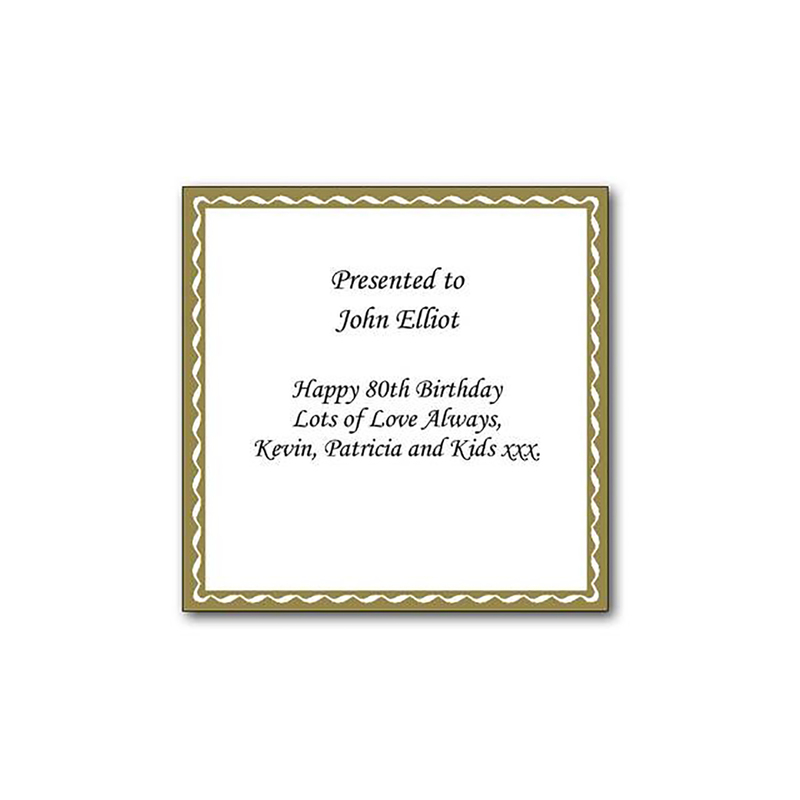 Be sure to enter the name of the person receiving this item in the ""Presented To"" box. Expedited shipping available. Please select option, below, before adding to cart. Standard order processing times still apply. Not valid on international orders.